Activator Methods®: This is a system of spinal evaluation combined with a handheld adjusting instrument that delivers a consistent, low-force thrust. Diversified: After identifying vertebrae that have lost their normal motion or position, a specific manual thrust is applied to free up “stuck” spinal joints. Gonstead: This full-spine approach relies on X-ray studies and a heat-sensing instrument for a thorough evaluation and documented results. SOT: Sacro Occipital Technique helps normalize the relationship between the pelvis and the head, using gravity to make the necessary corrections. Thompson: Thompson Terminal Point Technique is a system of analysis that includes the use of a special drop table that reduces the amount of energy needed to adjust the spine. 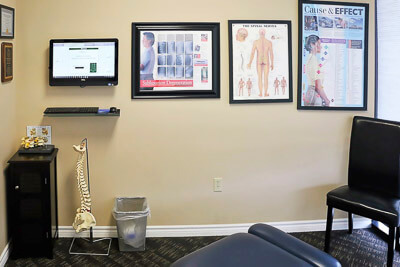 When you first begin care at Twins Chiropractic and Physical Medicine , our doctors will take their time to explain everything that will be done in advance, and will only start out with a few gentle adjustments. In other words, we’re going to walk you through each treatment, keeping you informed every step of the way. It won’t be long before you realize what so many millions of chiropractic patients before you have experienced: total release and relief. Don’t delay your care! Reach out to Twins Chiropractic and Physical Medicine to get started.